Out of 179 countries ranked in 2011, Malaysia was tied for 122nd in terms of press freedom by the Press Freedom Index (Reporters Without Borders). The organization Reporters Without Borders has been collecting data for this Index through questionnaires sent to press respondents in each of the 179 chosen countries since 2002. While the rankings that result from the Press Freedom Index are relative to other countries, it is still a useful tool to track the press freedom changes over time for specific countries. In Malaysia’s case, a statistical analysis of its ranking changes over the past ten years reveals that there is a correlation value of 0.6309 between the year and Malaysia’s press freedom rank, suggesting that there is a moderate, positive correlation between the two. In the time since Reporters Without Borders began collecting this data, press restrictions in Malaysia have also increased (further statistical analysis shows that Malaysia’s rank has increased by an average of 2.5 ranks per year in the same timeframe). What this means is that, according to Reporters Without Borders, it is becoming more difficult to freely express ideas in Malaysia when compared to the rest of the world. In order to more fully understand the status of the free expression in Malaysia and how it compares to corresponding freedoms in the United States, a deeper look into the country’s historic sociopolitical factors is warranted. Much of modern-day Malaysia was born out of British colonialism. Britain’s interest in Malaya (as it was then called) throughout the 18th and 19th centuries was primarily economic, revolving around rich natural resources and agriculture. However, after World War II, British policy shifted away from colonialism, which eventually resulted in the formation of Malaysia. Although the Malaysian people desired independence, they were ill-prepared to exist as a completely sovereign nation. In 1957, they achieved their goal of de jure independence from British rule, but the British presence still lingered into the 1960s. The British had been rooted in the country for such a long time that the people were having “sufficient difficulties with internal security” which led to the Malaysian government expressing concern about “any substantial reduction in British force” (Pham 160). Once the majority of the British military stationed in the area had left, a lack of internal control and racial tensions propagated by “the overall constitutional bias … decisively in the favor of the Malays” (as opposed to Chinese and Indian immigrants brought in for work during the colonial era) led to “communal rioting … on the evening of 13 May 1969,” an event the Malaysians themselves understand to be “the most significant event in the country’s turbulent post-independence history” (Funston 5, 208). Significant restrictions on human rights in Malaysia resulted from the backlash of these riots, and many of the laws and regulations that allowed such restrictions still exist today. 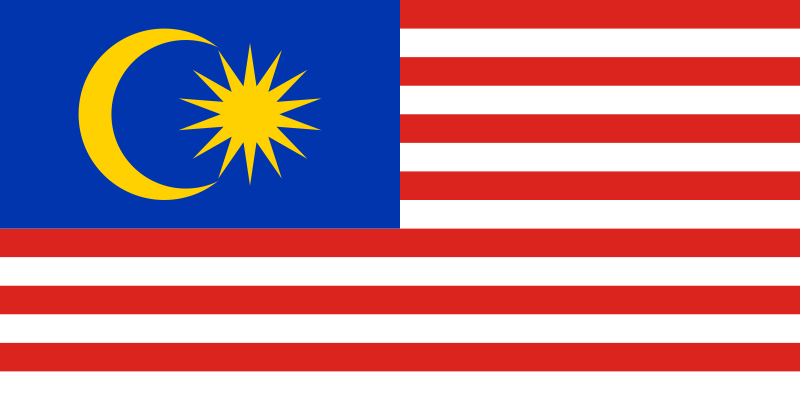 Today, Malaysia is a country of 29,179,952 people living on either a peninsula hanging off of Southeastern Asia or on part of a nearby island (CIA World Factbook). Malaysia has a healthy, developing economy that currently relies primarily on exports. However, in recent years, it has begun to shift towards a more diverse, multi-sector economy, bolstering a new emphasis on service and technology industries (CIA World Factbook). Despite a general increase in Malaysian wealth, the current state of individual rights and freedoms in Malaysia is relatively lackluster compared to the rest of the world. Malaysia exists under a constitutional monarchy with a bicameral Parliament, but the freedoms expressed in the country’s constitution are still suppressed today by government control. The Internal Security Act (ISA) is a provision that allows for Malaysian police to hold anyone, without a trial, for up to two years if they are deemed an active or potential threat to national security (Lee 605). Regardless of whether someone is merely advocating for concepts in the abstract or actually promoting substantive harm to Malaysian security, the police may detain that person at their discretion. This law was enacted during the post-World War II era as a preventative measure to silence communists, but the broad language that it was composed of left it open to interpretation, and thus also abuse. The ISA remains an active law in Malaysia which still chills free speech. In an effort to quell these conflicts and return to a state of order, the Malaysian government took proactive steps to remove the sparks of conflict, which in this case meant censoring political speech. The country eventually returned to stability, and Malaysia loosened its grip on political expression. However, the legal interpretations and infrastructure that provided the means for speech suppression in the late 1960s and early 1970s still loom over the heads of Malaysians, ready to silence as soon as political unrest flares up again. Unfortunately for the Malaysian people, this is exactly when they need that freedom most. In 1987, the Malaysian government used the Internal Security Act as a suppressive tool to “detain 107 individuals across Malaysia on the ostensible grounds that they were a threat to national security by contributing to escalating inter-ethnic tensions,” as well as to shut down multiple newspapers and periodicals (Lee 606). These detentions were for political purposes, used to silence dissenters of the government’s policies. This egregious abuse of governmental power clearly exemplifies why Malaysia’s loose protections of free expression are a threat to democracy in the country. If the voices of those out of power are punished because of their disagreement with those in power, then all hopes of social progress are snuffed out. New ideas are unable to challenge the status quo, and a stasis occurs in which oppression becomes institutionalized and irreversible. On Sept. 7, 2011, a protest held by voting reform activists was curbed by Malaysian police. Those at the assembly were peacefully protesting in a public space, yet their right to free expression and assembly was met with batons, tear gas, and fire hoses. The protesters were clearly abiding by the rules through their attempts to civilly express their political opinions in the public forum with hopes to effect change through legitimate means. In this case, the police are ironically doing more harm than good in the performance of their duties; they are charged with the task to prevent riots from breaking out, but by blocking the democratic process, the police push the political dissidents into attempting to achieve change through force, the very thing they are trying to prevent. Jan. 18, 2012 marks the beginning of a civil trial of Zunar née Zulkifli Anwar Ulhaque versus the State over the issue of an unwarranted arrest and detention. Zunar is a common commentator on public figures and Malaysian politics through his popular political cartoons. In 2010, police raided his office, confiscating his latest cartoons and placing him under arrest for seditious behavior. Zunar’s lawsuit poses a legal challenge to long seated laws inhibiting free speech and free press, such as the Sedition Act of 1948. This suit allows the Malaysian High Court an opportunity to hold these limiting laws unconstitutional, a holding that would affirm the country’s dedication to both free expression and human rights in general. The Sedition Act of 1948 made it a punishable crime to express ideas deemed seditious by the government. Originally put in place by the British during the colonial period, the Sedition Act remained with Malaysia when it became an independent nation. The Act has since been used at different times “to ensure that certain constitutional provisions could not be questioned. … for this purpose the Sedition Act was amended making it illegal to raise sensitive issues by questioning the sovereignty of the Rulers” (Funston 214). Having a legal method of suppressing a free press discourages discourse and the democratic process because it does not allow the populace an opportunity to be fully aware of the issues, rendering any discussion that would occur incomplete. This law is still in effect today. While the May 13th riots certainly represented a willingness of the Malaysian government to restrict speech, there were also significant restrictions that applied specifically to the press that came out of the internal instability. In addition to hushing public debate, John Funston notes that “Control was also further tightened over information,” and that “the local press was required to obtain all information on communal problems from the Information Co-ordinating Centre” (Funston 213). By forcing news outlets to only publish the information provided by the government, the people were presented with a consistent propaganda that lacked a challenging viewpoint. This strategy did not end at newspapers and other print publications; rather, it spread to television and radio as well, providing the Malaysian government several channels in which they could project their reality into the minds of the Malaysian people. Eventually the Information Co-ordinating Centre was shut down, but the events following the May 13th riots set the precedent of active government supervision of the press, which still lingers in Malaysia today. The Printing Presses and Publication Act of 1984 is an extension of the previous two historic issues that were mentioned. The Act requires publishers to obtain and renew government permits in order to legally publish their content, which are at the complete discretion of a single government official, the Home Affairs Minister. Extensive fines and jail time can be assigned to publishers who do not obtain a permit. In essence, this law allows for the Malaysian government to filter out articles that do not support their views and policies, and, “is easily used as a tool to keep print media under executive control” (CIJMalaysia). The Printing Presses and Publication Act in unison with the Sedition Act effectively keep a leash on news outlets, which are intended by the democratic process to be government watchdogs. In April of 2011, a series of cyber-attacks on various news and opinion sites preceded a Chief Minister election in Malaysia. Reporters Without Borders notes that in a country with such stringent control over traditional media as Malaysia, online bloggers and other news sources are crucial for holding government officials accountable by keeping the public informed about their behavior. In this case, several online news sources, including one investigating allegations of election fraud by the current Chief Minister, have been blocked. Even in the Information Age, the Malaysian population still seems to be facing major difficulties in staying informed. In a side by side comparative analysis of free expression rights in Malaysia against the United States, the States clearly have more protections for and a greater degree of commitment to these rights. As discussed in the previous sections, Malaysia’s relationship with speech and press freedom is littered with laws that chill or in some cases expressly prohibit certain expression, and with instances of these laws being used politically to silence dissenters. The precedents that guide the United States Supreme Court today place far more value on protecting individual expression rights. The three Supreme Court cases New York Times Co. v. Sullivan, New York Times Co. v. United States, and Reno v. ACLU provide definitive points of contrast between the United States’ and Malaysia’s stances of free expression. The case New York Times Co. v. Sullivan addressed an issue regarding the ability of a public official to recover damages for false, defamatory claims made against him. The Court ruled in a 9-0 decision in favor of the New York Times holding that it would significantly chill speech if officials could threaten their critics with libel lawsuits for any falsehoods they claim (New York Times Co. v. Sullivan). This case even denounces the United States’ retired Sedition Act (which is comparable to the Malaysian Sedition Act of 1948, functionally) when the opinion states “although the Sedition Act was never tested in this Court, the attack upon its validity has carried the day in the court of history” (New York Times Co. v. Sullivan, 276). As the Malaysian historical analysis above demonstrates, Malaysia takes a very different perspective on protecting speech when it comes into conflict with other issues. Both in the past and currently, the Malaysian government has no problem with silencing speakers and closing off public discussion in favor of other interests that it finds compelling. New York Times Co. v. United States, commonly referred to as the Pentagon Papers case, represents a bold stance taken by the United States Supreme Court in protecting the freedom of the press. The case revolves around the federal government attempting to enforce prior restraint on classified war documents that the New York Times and Washington Post were preparing to publish. The Court ruled in a 6-3 decision that the newspapers could publish the documents, as the government failed to provide the Court with a compelling reason to justify prior restraint (New York Times Co. v. United States). Contrasted with Malaysia, which allows governmental filtering of the press on an arbitrary basis, the United States protects its publishers and allows for far freer access to information. The case of Reno v. ACLU is an offshoot from obscenity cases, where the government attempted to criminalize the dispersion of sexual content online, in an effort to protect minors. The case resulted in a 9-0 decision for the ACLU, and the Court’s decision extended first amendment protections into the realm of the Internet (Reno v. ACLU). The medium of the Internet provides individuals a great deal of access to discourse. It supersedes many of the limitations of traditional media, and allows for a far greater number of voices to affect the public discussion. This particular point of contrast to Malaysia is especially critical because the limitations on print media in Malaysia. Online dissemination represents a unique opportunity for Malaysians to become more active political participants, which is an opportunity that has been historically difficult to come by in the country. By allowing cyber-attacks and online censorship, Malaysia takes yet another step away from a commitment to the democratic process. In a direct comparison, the United States has progressed further in its protections of free speech and free press than Malaysia has. However, Malaysia is a far younger nation with far different internal and historical contexts. Because of these differences, John Funston argues that the initial limitations on free expression “were justified in terms of the necessity to prevent discussion of sensitive issues for the smooth functioning of parliamentary democracy, and to foster national unity through redressing racial economic imbalances” (215). However, now that Malaysia is a stable, developing country, there is no excuse for the continuation of suppression laws such as the Sedition Act and the Printing Presses and Publication Act. Malaysian politicians have promised to repeal these laws, but a substantial change in commitment remains to be seen. Funston, N. J. Malay Politics in Malaysia: A Study of the United Malays National Organisation and Party Islam. Kuala Lumpur: Heinemann Educational (Asia), 1980. Print. Lee, Julian C. “The Fruits of Weeds: Taking Justice at the Commemoration of the Twentieth Anniversary of Operasi Lalang in Malaysia.” The Round Table 97 (2008): 605-15. Web. “Malaysia: Crackdown on Electoral Reform Protestors.” Article 19. Web. 04 Apr. 2012. “Many Opposition and News Sites Brought down by Cyber-attacks in Election Run-up.”Reporters Without Borders. Web. 04 Apr. 2012. “Ministry’s Show-cause Letter to Star Unnecessary, Spotlights Draconian PPPA Yet Again.”Centre For Independent Journalism, Malaysia. Web. 04 Apr. 2012. New York Times Co. v. Sullivan. No. 39. Supreme Ct. of the US. 9 March 1964. New York Times Co. v. United States. No. 1873. Supreme Ct. of the US. 30 June 1971. Pham, P. L. Ending ‘East of Suez’: The British Decision to Withdraw from Malaysia and Singapore, 1964-1968. Oxford: Oxford UP, 2010. Print. “Political Satirist Takes Government to Court over “Cartoon-O-Phobia”” IFEX. Web. 04 Apr. 2012. “Press Freedom Index 2011-2012.” Reporters Without Borders. Web. 03 Apr. 2012. Reno v. ACLU. No. 96-511. Supreme Ct. of the US. 26 June 1997. “The World Factbook – Malaysia.” CIA.gov. Web. 4 Apr. 2012.